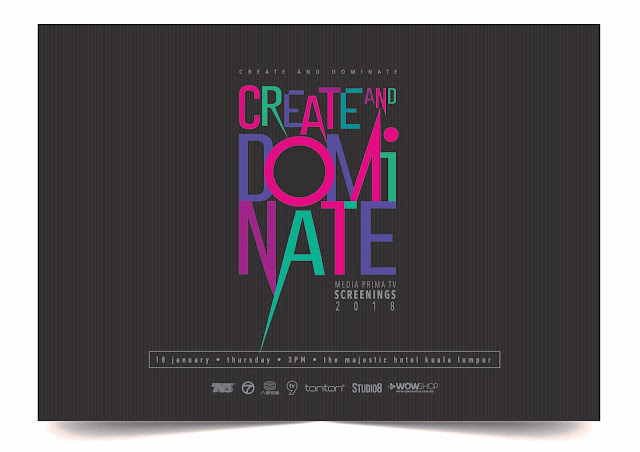 Petaling Jaya, 18th January 2018. 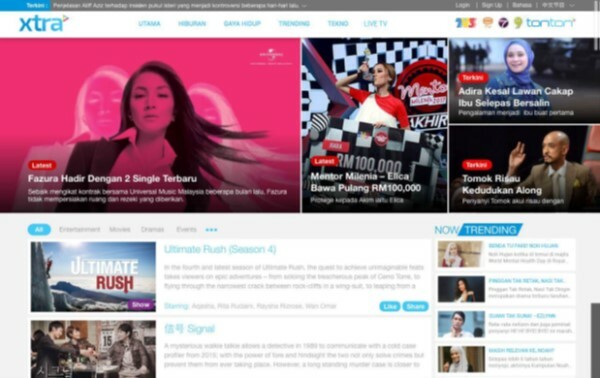 As Media Prima tightens the integration of TV and digital, tonton, has caught Malaysia by storm with over 7.6 million registered users and growing. With the internet wave taking its pace and changing every day, tonton, the first and largest homegrown OTT in Malaysia, is the new wave of digital transformation for Media Prima Television Networks. tonton successfully recorded a huge increase in hour’s watched, average time watched and subscriptions through-out 2017 with expansion to Singapore via SingTel and Brunei via DST. In 2018, tonton continues to enthrall viewers with high quality content via magnificent multiple new features line-up. tonton marked a big hit recently with a beautifullymade movie ‘By MY Side’. Produced by JinnyboyTV, the tonton original movie was first premiered in cinemas nationwide and was later made available on tonton alongside 155 countries via the iTunes store. Within the first 2 days of hitting iTunes, By MY Side hits was rated the #1 movie in Malaysia and Singapore! With this success, tonton continues to work with JinnyboyTV and announced an additional collaboration with another top Malaysian YouTuber - The Ming Thing, a line-up of tonton – original series slated for the year. Fans of MARVEL Superheroes will also be delighted to hear that tonton will be offering the latest MARVEL series exclusively on the platform. Taking over the world on big virtual screen. Who says the sky’s the limit? tonton struck a collaboration with Air Asia through 60 aircrafts via Rokki with over 1.5 million audience every month, offering Air Asia passengers the chance to sample a selection of tonton’s library - ranging from exclusive content, dramas, lifestyle content and more from 30,000 feet in the air by simply connecting to ROKKI’s inflight service for free via their personal mobile device. All just a click away, at the comfort of your seat. To strengthen its appeal to both mass and urban viewers, tonton expands its reach into the living room by introducing tonton’s Smart TV platform which will be available on LG, Panasonic and Smart TVs in Q1 2018. A dedicated Android OTT App for Android boxes will also be released concurrently targeting the growing OTT box community. Strategic OTT partnerships with dimsum and EROS NOW features product bundling, content integration, unified search and cross-marketing offering our combined subscribers a diverse choice of contents comprising of urban, Chinese, Korean, Thai plus top Bollywood movies and series. A perfect complement to your online watching experience. xtra.com.my – the newly launched entertainment and lifestyle news portal; complements your online watching experience with the latest news on entertainment, controversies, viral stories as well as lifestyle tips from the ‘millenials’ lense. Xtra’s investigative reporting style covers behind-the-scenes of controversies with up to the minute updates from all across the country – xtra isn’t your ordinary entertainment portal but also features Live TV, catch up on the latest TV dramas and covers in 3 languages; Malay, English & Chinese. Visit www.xtra.com.my for more! The Finnish “first-screen” technology and leading Malaysian OTT-platform bringsinnovative social layer to 7.6 million users on the tonton. tonton introduces Camment, a technology that allows tonton users to interact with other tonton users who are connected to their social circles using voice and video. The technology allows for intelligent social marketing where brands can partner with the platform to advertise relevant content based on the interaction made between users through voice recognition technology – a first in Asia. Technology is the wave of digital transformation that is leaving us a lot of opportunities to discover, learn and choose the best for our businesses. Malaysia’s Largest Entertainment Archive Made Available for FREE!! As a give back to Malaysia – over 20,000 hours of tonton’s content library are now available completely FREE to all tonton users in Malaysia. This large archive comprise of daily news, sports, entertainment, dramas plus the many gems and golden classics such as the compilation of Anugerah Juara Lagu, Pi Mai Pi Mai Tang Tu series, Malaysia Hari Ini and many more - that were previously available to VIP subscribers only. Tonton VIP subscribers on the other hand will enjoy the very latest dramas, movies, original series, premium LIVE channels, VIP experience at Media Prima Television Networks events, adfree video experience and much more. 2018 is definitely a year that tonton’s users can look forward to and experience exciting technological enhancements as well as enjoy a diverse array of exhilarating premium contents and get their daily dose of entertainment and lifestyle updates from tonton XTRA – all originally curated from our in-house editorial family. The VIP subscription plan starts from as low as RM3 daily, RM5 weekly, RM10 monthly and RM96 annually. Got any questions? Ping us on our LIVE chat service or give us a call at 03-2717 2020!